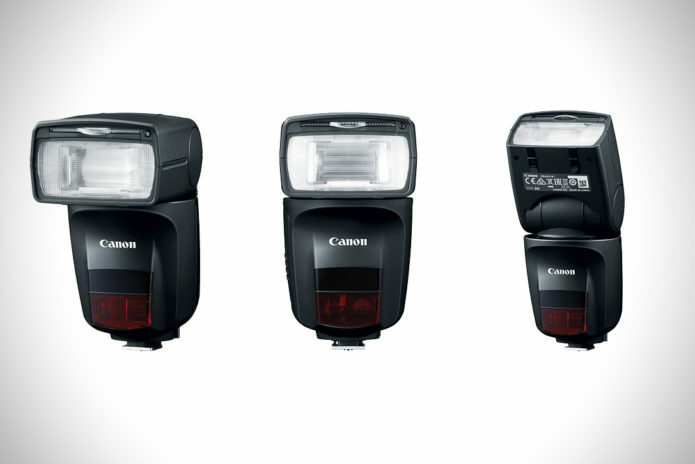 The Canon Speedlite 470EX-AI is the first flashgun ever to be equipped with what’s called AI bounce – a new Auto Intelligent (AI) function that’s been cleverly designed to work out the optimum position of the flash head before automatically maneuvering it to create the best possible lighting results in any given shooting environment. In its full auto mode, the 470EX-AI first requires a test flash to be taken to calculate the ideal angle for natural, flattering illumination, which is achieved using the AI.B button at the rear of the Speedlight itself or from a customizable button on a compatible camera. After this, the motorised flash head moves into its optimal position, with a green light indicating that it’s all setup and ready to shoot. In full auto mode a test flash is required to calculate the ideal angle for the best illumination. This is done using the AI.B button to the left of the sub menu and back buttons, but can also be set to a customisable button on the camera it’s being used with. 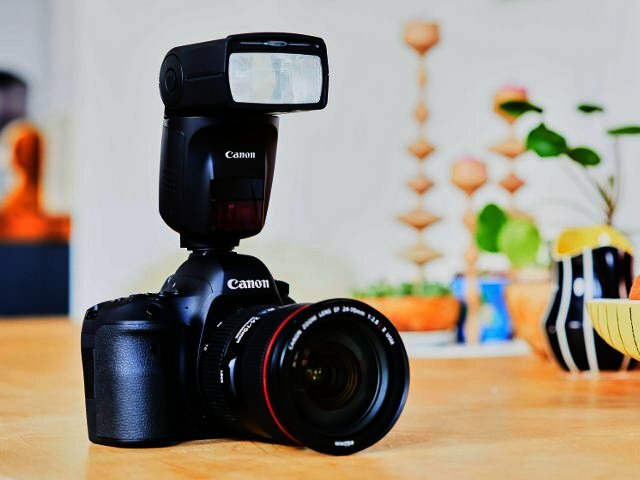 Alternatively, the Canon Speedlite 470EX-AI can be set to its semi-auto mode, which is likely to appeal to more advanced photographers who’d prefer to set the angle and position of the flash head themselves. What’s particularly clever about this mode is that the flash automatically registers the position of the flash head as manually set by the photographer and automatically readjusts it based on the orientation of the camera – essentially taking away the hassle of doing it yourself, whilst also ensuring excellent precision and alignment. For times when AI bounce isn’t preferable, the Canon Speedlite 470EX-AI can be set to full manual mode and used just like any normal Speedlite. In terms of power output, the 470EX-AI has a guide number of 47 (ISO 100) and is capable of recharging to full power in 5.5 seconds using 4 AA/LR6 batteries, or 3.5 seconds with rechargeable NiMH batteries. A closeup view of the AI.B switch. When it’s set to the right, as pictured in this image, the AI.B function is set to full auto mode. Move it to the centre position and it works in semi auto mode. Flick it all the way to the left and the AI.B function is disabled. It features a standard focal length coverage of 24-105mm, with wide-angle 14mm coverage possible using the built-in adaptor. In addition there’s a high-speed sync function, enabling the flash to be fired several times in rapid succession, permitting higher shutter speeds than normally possible. 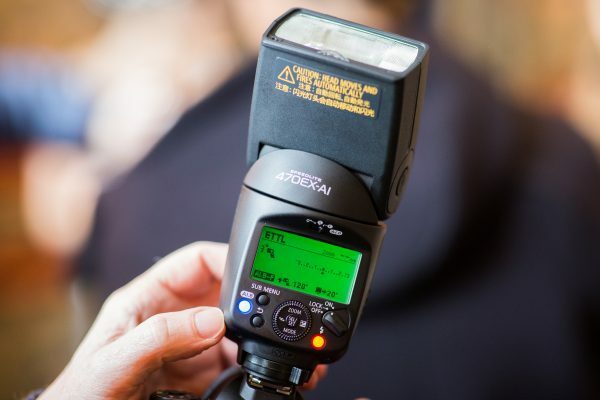 The wireless optical receiver function on the Canon Speedlite 470EX-AI allows the flash to be used at distances of up to 10m away from the camera. With a built in Speedlite transmitter function or Speedlite with Optical transmitter, further creative capturing is enabled. A brief hands-on session with the 470EX-AI implies that Canon are onto something rather special with their new AI bounce innovation. It worked faultlessly in the time I got to use it and nailed the lighting and exposure with every shot taken indoors. The motorised head goes about its business of rotating and tilting silently, and no damage was inflicted when the flash head was manually moved in its automatic or semi-automatic modes. The way it adjusts to your shooting orientation automatically is a stroke of genius and is rather robotic-like to look at in operation. An image taken with the Canon Speedlite 470EX-AI mounted to the Canon EOS 6D Mark II. This shot was captured with the AI.B mode set to its full-auto mode, with the test flash activated from the Speedlight using the AI.B button. 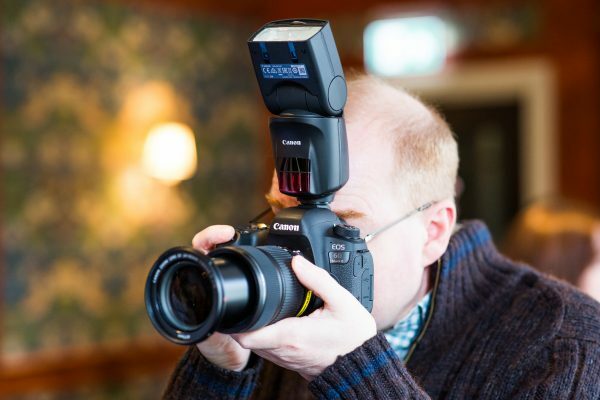 It has great potential to be a game-changer for the likes of wedding photographers who regularly switch between shooting in landscape and portrait orientations and would do anything for an easier way of repositioning the flash head position in an instant. 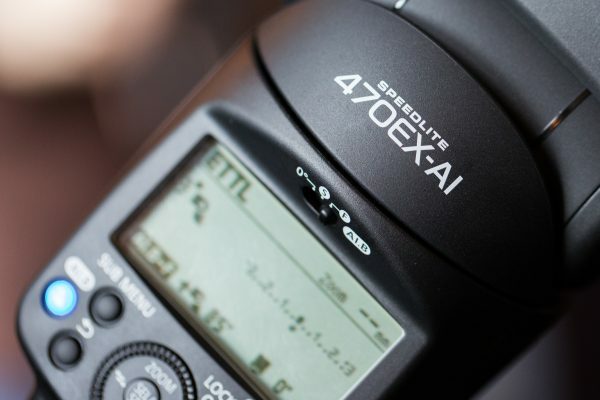 The only thing holding back the Canon Speedlite 470EX-AI is camera compatibility. Canon will need to release a series of new firmware updates for its existing DSLRs to make sure they can be used with the 470EX-AI and any future Speedlights that may adopt the same AI bounce technology. Who knows, we might well see AI bounce feature on the replacement to the Canon Speedlite 600EX II-R. Although the 470EX-AI worked faultlessly with the EOS 6D Mark II samples at the press event, it refused to work with the Canon EOS 5D Mark III that I happened to have with me – an example of a DSLR that requires new firmware in order to make it fully compatible.